Cloud and PC-based estimating software, built to perfectly suit the needs of contractors. Look no further than Ensign’s simple and intuitive Estimating Software if you’re looking to save time (and, therefore, money) when pricing up a job. Designed specifically for modern contractors, our software will have your estimates done, dusted and submitted before the competition can even start theirs! Get your estimating done and to the client while your competition is still snoozing with Ensign’s highly accurate and rapid Estimating Software. We design our software with you in mind, and understand how long it can take to add in parts, discounts, prelims and costs by hand, before your estimate is even half done. 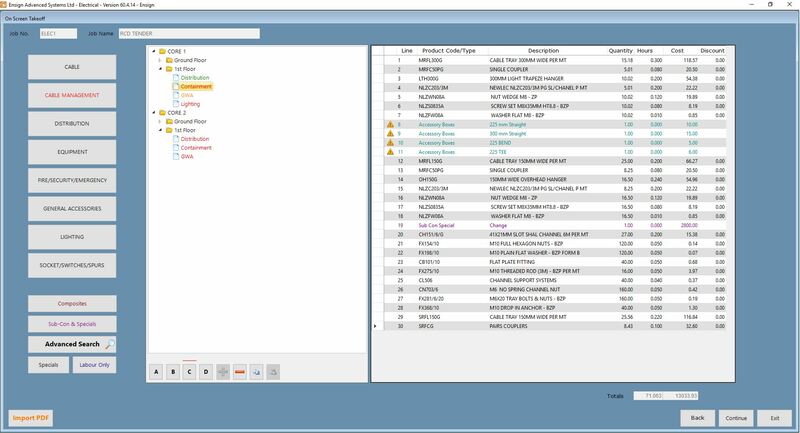 Save yourself the time and the headache with software that comes with a frequently updated database of kits, materials, labour and more, tailored to your particular industry. Just pick the parts you want from our database, or bring in your takeoff from our On Screen TakeOff Software. Just add in your MCDs, prelims, prime costs and other figures you need to take into account for your estimate, and the software will accurately calculate your costs, margins and profits for you. 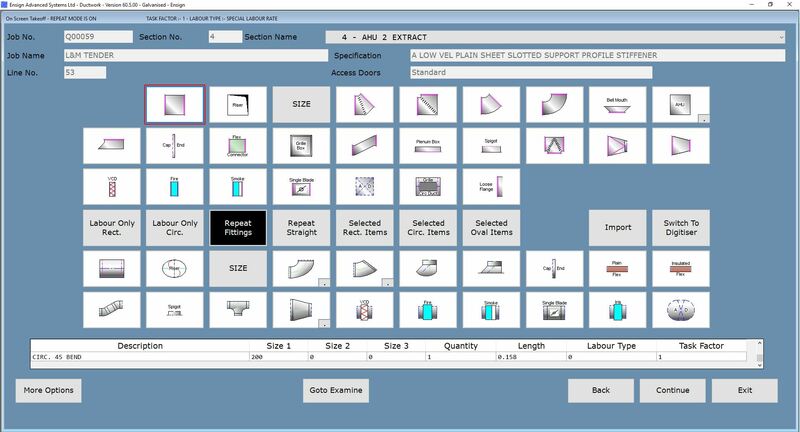 Our simple and intuitive estimating software layout is easy to learn and you’ll be quickly adding in your details and producing estimates before you know it. And when you’ve completed your estimate, our reports are there waiting for you to help you increase your profits, save time and money with your suppliers, and manage your costs, all exporting handily to Excel, Word, CSV, PDF and more for your convenience. We’ll set up the estimating software for you, branded and customised for your company needs, and provide thorough and step by step training, leaving you ready to produce completely accurate and rapid estimates in no time. We also offer highly responsive customer care and support, from our experience team of professionals, so help is always at hand. Not one of the trades listed above? Check out RapidQuote UK, ultra-fast takeoff and estimating software for all trades. 0.1 Cloud and PC-based estimating software, built to perfectly suit the needs of contractors.